The Katahdin is a unique breed of sheep developed to efficiently & economically produce meat. In the 1950's, Michael Piel of Maine saw a need for a hardy meat sheep, which would not require shearing. To achieve this end, Piel imported a small number of Virgin Island sheep to cross with some of his existing flock of traditional sheep. His goal was to combine the hardiness, prolificacy and shedding hair coat of the Virgin Island sheep with the carcass conformation and growth rate of the British breeds. After 20 years of crossbreeding, Piel eventually assembled a flock he called Katahdin (pronounced Ka-TAH-din) named after Mt. Katahdin in Maine. Katahdins are a medium size sheep that come in any color or color pattern. The ideal Katahdin is polled and has a coat that sheds completely seasonally. It is a heavily muscled animal with strong bone, long loin, good depth, good overall size and proportionally balanced throughout. The thick dense coat that protects them so well in the winter sheds to a short, clean hair coat in the spring. A mature ram ranges in size from 200-250+ lbs. A mature ewe ranges fro 150-180+ lbs. How about their lambing ability? 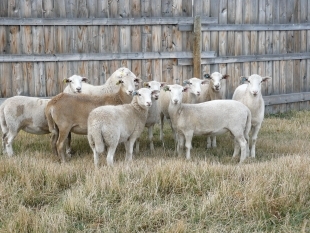 Katahdin ewes are long seasonal breeders. 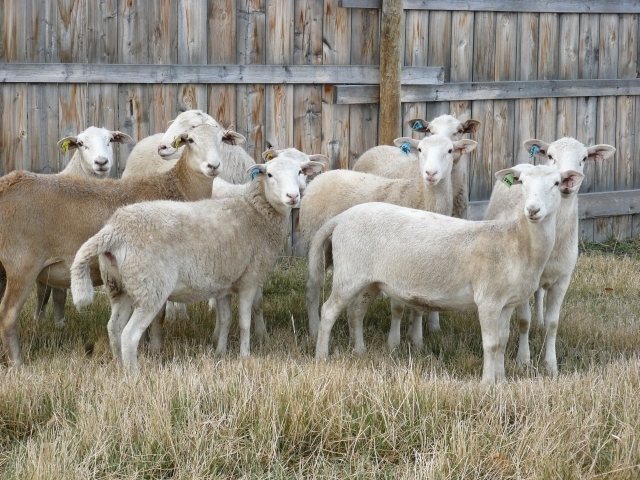 A well-managed, selected flock can produce a 200% lamb crop. The ewes are noted for their ample milk production, easily raising twins or even triplets. The strong maternal characteristics and the vigor of the newborn lamb add to the shepherd's ease at lambing time. With correct feed management, the ewes are easy lambers with twin lambs generally weighing 8-10 lbs. Being raised as a meat animal, the important quality is the lamb's finish. Katahdins produce a naturally lean, well-muscled carcass. The meat has a distinctive mild flavor, desirable for the gourmet market. Lambs generally reach market weight in 4-6 months although with good management and genetics, ram lambs can reach 100 lbs in 100 days. What contributes to their low maintenance? The winter coat naturally sheds each spring; therefore there is no need to shear. Tidy hair placement around the udder eliminates the need to crutch prior to lambing. Tail docking is not required because there is no concern about feces attachment. Having developed from tropical breeds, with proper management, Katahdins posses a significantly higher degree of parasite resistance. 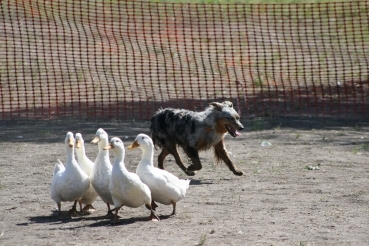 Calm in temperament with moderate flocking tendencies, making them easy to handle. Because of the naturally mild flavor of the Katahdin lamb, some producers find it unnecessary to castrate. Katahdin ewes have a high fertility rate. They are generally easy lambers and excellent mothers. Pour 3 cups of the milk out of the gallon jug. Now pour in the evaporated milk and the buttermilk. Fill the rest of the jug with the whipping cream. By whipping cream I mean the stuff you buy in the quart container that's essentially straight cream. Shake well. You're done! The baking soda comes into play when you fill a bottle. Add 1/8th teaspoon of baking soda to every 12 ounce bottle of milk replacer. The baking soda acts as an antacid, to help neutralize the PH in case of sour stomach. Once your babies are a few weeks old, make the transition from warm milk to cold. The producer I learned this from raises over 1000 sheep a year, and typically has around 200-300 bummer lambs. He said that when they switched from warmed milk to cold, their mortality rate from bloat dropped from 15% to about 1%. With my own flock, my lamb mortality rate dropped to 0%. As cold milk takes longer to sour and ferment, it makes sense that it would reduce the incidence of bloat.